Quit playin’ games with my heart. If there was one big takeaway from this episode, it’d be that rejection is better than no reaction. It’s better to have an answer, even if it hurts, than to not know what the other person is thinking. Ye Jin already alluded to this earlier when her drunk love confession to Joon Mo went unnoticed by him, but now we really see how the lack of a reaction hurts everyone. All our characters are stuck in this love merry-go-round with one another, and they keep going in circles because no one will just admit to their true feelings. Le sigh. A KISS TO REMEMBER | Seung Chan is so shocked by Cindy’s kiss that he is literally at a loss for words. Given his lack of a response, she straight-up asks him what that kiss meant to him. But perhaps fearing that she’s in store for a love rejection, Cindy tells Seung Chan to take some time to think it over and then tell her. But c’mon; she was brave enough to make the first move! Man up, Seung Chan! Even though it’s super awkward between them afterwards, he does try to lessen the tension so that Cindy can have a good time. She’s definitely cheers up a bit when she and Seung Chan have a commemorative photo taken together. Better than nothing, I guess. Avoid eye contact at all costs. SING ME A LOVE SONG | Turns out that the sketchy person who called Ye Jin at the amusement park is not some psycho fan, but just one of CEO Byun’s employees. 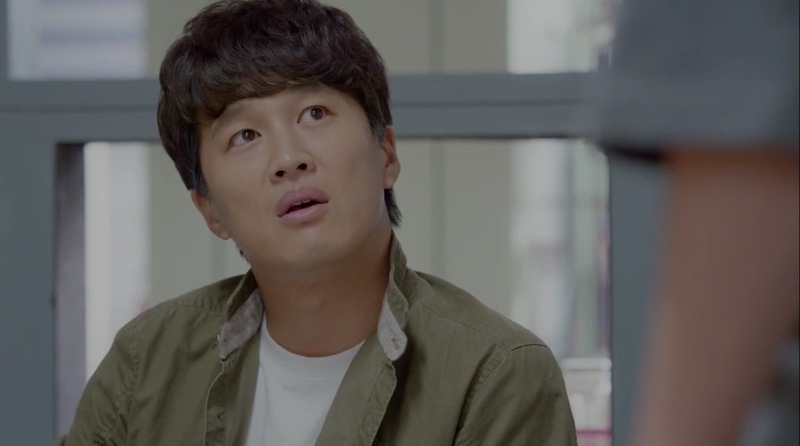 He did some sleuthing and found out that Cindy was hiding out at Ye Jin and Joon Mo’s place. Boo! Looks like her vaca is going to be cut short, but at least she’ll get to spend the rest of her birthday with them. After watching the fireworks together, where Cindy made sure that she was standing in-between Ye Jin and Seung Chan, they take her out to karaoke. Seung Chan surprises everyone by having the voice of an angel, but both Cindy and Joon Mo aren’t happy to see Ye Jin turn into his biggest fangirl. Okay, here’s when things get confusing and awkward: Seung Chan gets jealous of Joon Mo & Ye Jin’s duet, so he sings her a love song, which then makes Cindy upset, so she sings a sad love song for him. Got it? What all of it adds up to is a lot of longing from everyone that night. CALM AFTER THE STORM | After sending Cindy back, Ye Jin receives a box of gifts at work from Cindy’s fans. Apparently, she had uploaded a picture of her and Ye Jin together and made it sound like they are good friends, so now the fans won’t think that Ye Jin injured her on purpose. While everything seems to have gone back to normal for the KBS crew, Cindy is waiting anxiously by her phone for Seung Chan’s call and also having to deal with the nasty CEO Byun. Lady isn’t happy with Cindy’s little runaway trick, and threatens to replace her if she ever tries to go against her. And this is the same person who refers to herself as Cindy’s “mom.” Yikes. BLIND DATE | During lunch, one of the other PDs, Stefano, tries to set up Ye Jin with his friend. Hearing this, Seung Chan is visibly concerned, but Joon Mo seems to have no real reaction to it. In fact, he tells Ye Jin to do whatever she wants. Ding…wrong answer. 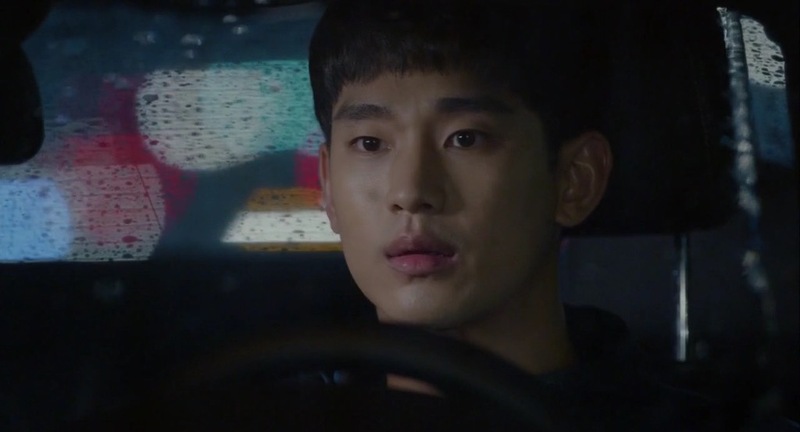 When Seung Chan confronts him afterwards, he tells him that he’s being a total coward for keeping Ye Jin’s feelings in limbo. Because he won’t accept her feelings nor will he reject them, Ye Jin is just stuck there. Joon Mo simply tells him that good intentions don’t always equal good results, so Seung Chan shouldn’t meddle in other people’s business. Since his talk with Joon Mo didn’t work, Seung Chan tries his darn hardest to dissuade Ye Jin from going on the date. Not sure if his BS reasoning worked, but he does convince Ye Jin to repay the “car dent debt” in the form of meals, drinks, and movies instead of actual money. I see what you did there, dude. You know nothing, Seung Chan. BFFL…HUH? | Since Cindy doesn’t have an official love line on 2D1N, the writers decide to make Seung Chan & Cindy an item by sending him to her place to film a best friend segment for the show. That’s fine and all…but who’s Cindy’s biffle? Go Ara, that’s who! She’s actually Cindy’s nemesis, but their agencies arranged for this little charade to calm down the rumors of their on-set fighting. Their acting is so bad that even Seung Chan sees right through them. THE TRUTH WILL BE REVEALED | After finishing filming for the day, Seung Chan stays behind to talk to Cindy. She thinks that he’s finally going to give her his answer about the kiss. Instead, he actually just wants to talk about how Go Ara didn’t seem like her best friend, and that he doesn’t want to lie on TV. Cindy insists that they are friends, but he’s not buying it. He then tells her that he thinks she’s actually a good person, even if she doesn’t believe it. But because she’s been lying to herself and everyone else for so long, the truth is muddled. Cindy takes what he’s saying as his response, and admits that even she doesn’t know what her true self is anymore. Sadface and *tears*. BUT! That wasn’t exactly a rejection, right?! Team Chandy hopes are still alive, y’all. Handling rejection like a pro. TEAM SPIRIT | At the annual KBS Variety Dept. sports day, everyone is grumbling and annoyed with the hot weather. Everyone except Seung Chan, that is. He’s having a great time and not even realizing the everyone else is purposely allowing the Dept. Chief to win in the games. He finally notices, however, when even his own teammates are tackling him on the field to stop his plays. In the overtime shoot-out of the soccer game, Seung Chan is going up against Joon Mo, the goalie. Perhaps venting about their love rivalry through sports at that moment, Seung Chan kicks the ball hard…but Joon Mo blocks it! This ain’t Running Man, Kim Jong Kook! DECISION TIME | After the games, Ye Jin thanks Seung Chan for cheering her on earlier and offers to take him out to the movies as part of her repayment plan. He tells her that he’ll meet up with her after dropping by the office first. On his way to the movie theater, Seung Chan receives a call from Cindy. She tells him that she’s waiting outside his house because she has to talk to him. And of course, it’s pouring rain. Of course. He calls Ye Jin, who’s waiting at the theater for him, but her phone is off. So…who will he go to? Seung Chan + Cindy = Chandy 4EVA. Make it happen, universe! I’m only two episodes in and now sure about I feel about the Seung Chan/Cindy story line but I do love that tag “Seung Chan + Cindy = Chandy 4EVA.” If only they had a yearbook to doodle in, complete with hearts and smiling puppy faces.